Ocean Terrace condominiums, apartments, and rooms—once a motel, and oh boy! Seaside Heights. Paul Goldfinger photograph. September, 2018. © Click to enlarge. In college my 4 piece combo had a gig playing dance music in Lavallette at the Shore. But we lived in an apartment over a garage, 1 block from the boards in Seaside Heights. That town was one large erogenous zone–if it is possible to zone that way. 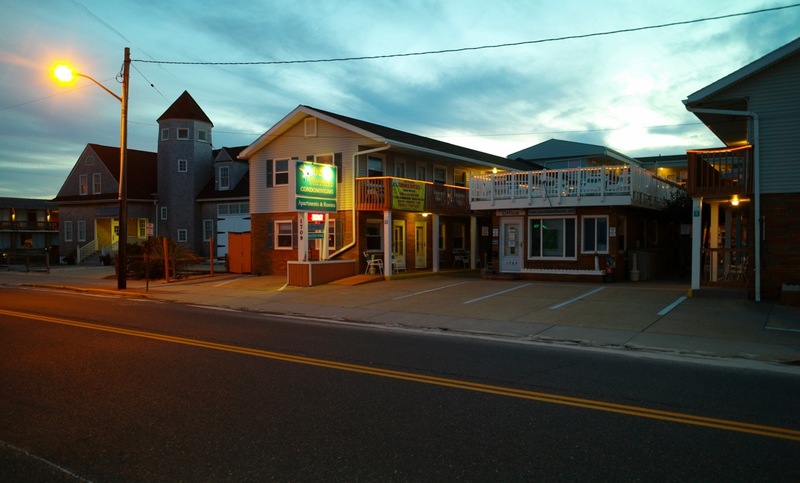 The bars, the boards, the motels, the music, the shore food, the girls. There is something about Seaside that is in the air and in its DNA and has never left. Our secrets from that summer are long buried in the sands of time. Love Seaside Heights. True Jersey Shore.